Now, a new report from the Oxford Internet Institute (OII) at Oxford University, has found that despite efforts to combat computational propaganda, the problem is growing at a large scale. "The number of countries where formally organised social media manipulation occurs has greatly increased, from 28 to 48 countries globally," says Samantha Bradshaw, co-author of the report. "The majority of growth comes from political parties who spread disinformation and junk news around election periods. There are more political parties learning from the strategies deployed during Brexit and the US 2016 Presidential election: more campaigns are using bots, junk news, and disinformation to polarise and manipulate voters." This is despite efforts by governments in many democracies introducing new legislation designed to combat fake news on the internet. 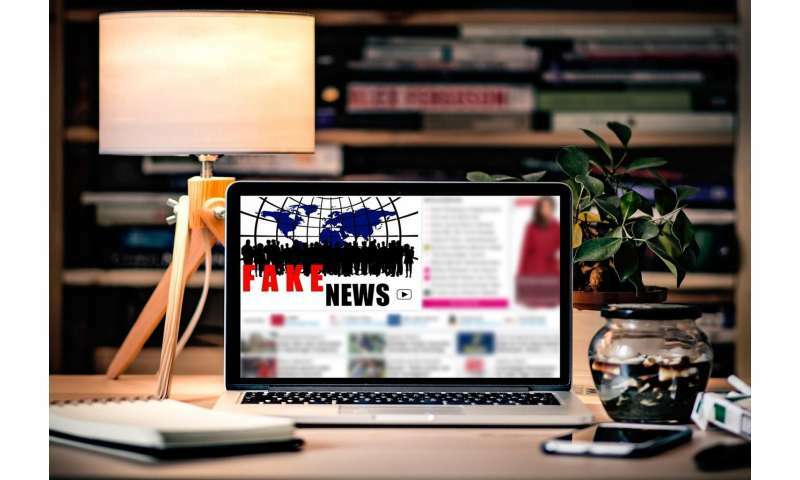 "The problem with this is that these 'task forces' to combat fake news are being used as a new tool to legitimise censorship in authoritarian regimes," says Professor Phil Howard, co-author and lead researcher on the OII's Computational Propaganda project. "At best, these types of task forces are creating counter-narratives and building tools for citizen awareness and fact-checking." Another challenge is the evolution of the mediums individuals use to share news and information. "There is evidence that disinformation campaigns are moving on to chat applications and alternative platforms," says Bradshaw. "This is becoming increasingly common in the Global South, where large public groups on chat applications are more popular." Automated bot accounts still continue to be a well-used tactic. Online commentators and fake accounts are used to spread pro-party messages, as well as being used to strategically share content or post using keywords to game algorithms and get certain content trending. They are also being used to report legitimate content and accounts on a mass scale, causing them to be taken down temporarily. "We suspect new innovation will continue to emerge as platforms and governments take legal and regulatory steps to curb this type of activity," says Howard. Overall, the use of organised social media manipulation campaigns is a big business. "We estimate that tens of millions of dollars are spent on this type of activity," says Howard. "Some of the money may be spent on legitimate advertising on social media, but there is certainly a growing industry for fake accounts, online commentators, and political bots." Failing to mention the "Lusitania" was illegally carrying war supplies; accepting the "official story" of the "Gulf of Tonkin Incident"; never mentioning that the Cuban Missile Crisis was caused by the U.S. placing nuclear missiles on the border of Russia; suggesting Trump was the only person ever to make the kind of comments about women that he did; CNN trying to initiate the rumor that Trump has a psychotic fear of stairs; ABC News running a "crawl" saying Paul Manafort pleaded guilty to five counts of manslaughter. The "press" already cannot be trusted. But, consider, among other things, with so many messages of so many different types on "social media", is it really likely any one sentiment will carry the day and convince majorities of voters? This sounds like fear mongering to blame social media for the real fact that many people are tired of the garbage from before. Did you get fooled by the social media? Yes, we have been lied to over and over again. I do not think it is the fault of the news, but of the sources, the liars. I personally tuned in and heard the events leading up to and after the loss of the Scorpion, about which we are still lying. But we also had the opportunity to learn of the Office of Special Plans, put in the Pentagon to invent the "WMD!" lies that got us into the Republican Wars. The information was out there, but hard to find. I found it. The goobers who wanted to kill those folks and feel powerful did not care. I think it is religion which teaches us that everybody's ideas are as good as anybody else'. It leads to Reaganism and Trumpism and the other ignorance-fueled traits. of course 'obama ism ' and 'bush ism' and 'clinton ism' dindu nuthin !